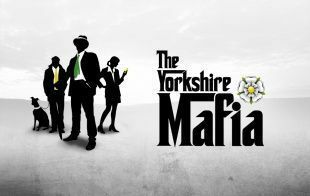 The Yorkshire Mafia conference 2012 will be held on Wednesday 21st March – Thursday 22nd March 2012. The Billion Dollar Pannel. The Billion Pound Panel was initially conceived as a Q&A panel of business people who had collectively generated businesses valued at over £1billion. By the time of the conference we’d gathered together £4.1billion of expertise and brought together, on one stage, some of the most successful business people Yorkshire has ever produced: Lord Kirkham CVO, Lawrence Tomlinson, Dean Hoyle, Gary Verity, James Sommerville and Ajaz Ahmed. Posted on November 24, 2011, in Events and tagged Billion Dollar Pannel, Conference, Delegates, exhibition stands, Seminars, The Yorkshire Mafia. Bookmark the permalink. Leave a comment.